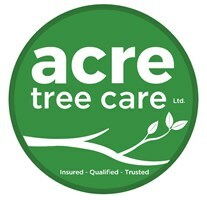 Acre Tree Care Ltd - Tree Surgeon based in Hull, North Humberside. At Acre Tree Care, we are local Tree surgeons in Hull and East Yorkshire. With over 15 years’ experience, our fully NPTC and Lantra qualified team are helpful and friendly. We are specialists in arboriculture and offer a wide range of tree services including: Tree removals, tree felling, limb or branch removal, pruning and reshaping, crown lifts, pollarding and reductions to name a few! We can also remove stumps and help you with tree preservation orders. We are fully insured for your peace of mind and have lovely reviews from our happy customers. We are trusted with residential and commercial work and are experienced in working on all different kinds of projects. From customers who have concerns on dangerous trees or trees that have uprooted to customers who need more space, more light or who just want to maintain their trees in the best possible way. We know there can be many reasons to want to have work done on a tree. For trees in conservation areas or trees with a 'TPO', Tree Preservation order, approval will be needed from the local authorities. At Acre Tree Care we are happy to help our customers with this service and carry out the works subject to their and your approval. At Acre Tree Care we are committed to reducing waste by recycling as must as we can. We hold a valid waste carriers license to enable us to leave your garden and premises just as tidy as they were before we arrived! Our green ethos doesn't stop there. We aim to be fully paperless by the end of 2019 too with all of our risk assessments, quotes, invoices being supported by handheld devices. We love what we do and we are certain you will love what we offer. Call us now and speak to our friendly team for a free quotation! ACRE TREE CARE. Fully Insured. Fully Qualified. Completely Trusted.